You can depend on our Mississauga sump pump repair, installation, and maintenance service to be dependable and professional. We are on-call twenty-four hours a day, seven days a week, and all year long to help. Our prices are affordable, flat-rate, and exact given to you up front before we begin the job. And you will be given the same price whether you want us to be there on a weekday, weekend, or holiday. Do not take the unnecessary risk of not knowing if your sump pump will work when you are in need of this workhorse to keep your home safe and dry. Flooding and water damage cost many thousands to repair. There is no reason to worry about your sump pump Mississauga just call our local plumber and we will have it inspected or repaired in no time at all. 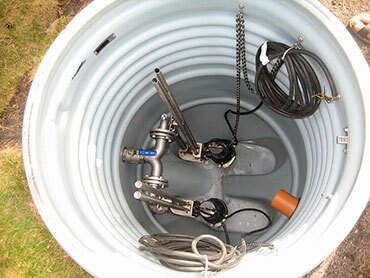 Sump pumps need maintenance like any other mechanical device. It will break down faster if it is not properly maintained just like your vehicle will. Proper maintain of your Mississauga sump is yearly. Though this could be more if there is a lot of rainfall to contend with or a higher water table, or perhaps a lot more drainage than is typical. And remember that when it is dry weather check on it in case the weather changes again. Your Mississauga sump pump works tirelessly on your behalf with minimal supervision to keep your home safe and dry. The device is typically dug into a pit that is roughly the size of a garbage can into your basement floor where it is secured in place. As the excess water rises it is collected into the basin with the float arm and switch triggering the unit on automatically. The extra water is then pushed by the pump into the discharge pipe and out of your home safely into the storm drain. A one-way valve is installed to ensure the water does not return to your home. Should you need maintenance of your existing Mississauga sump pump you can trust in our more than twenty-six years of experience to get the job done right. We will inspect all of the parts and see that they are functioning optimally so you can rely on the device when you need it most. Our local plumber can be relied upon to also make certain all of the parts are cleaned. A blocked pump may cause it to overheat and break down much quicker than it should. A blocked discharge pipe or check valve will make it overflow or drain slowly. 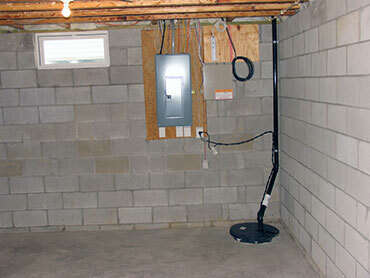 Rest assured, your sump pump will be in great shape. Our neighborhood plumber is local and can respond to your call for assistance quickly. Don't delay because you need this device to work or there will likely be a flood in your home along with the several thousands of dollars in damages that come with it. Our local plumber will inspect all of the parts from the pump and basin, the check valve, impeller, float arm, float switch, air holes, vents, and discharge line and make certain everything is in top condition. Call us for professional Mississauga sump pump service and expect to receive the best workmanship and friendliest service.